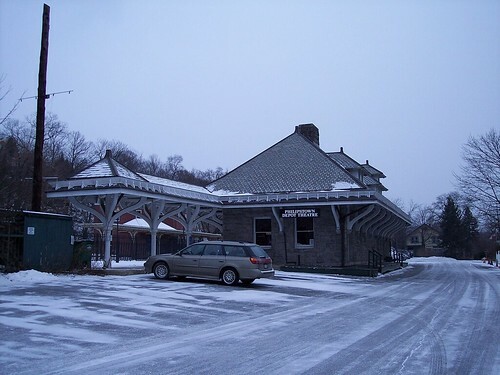 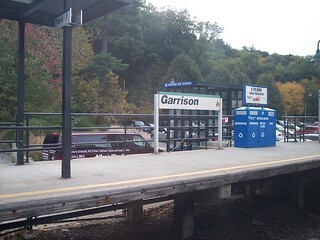 The old station building and canopy in Garrison still stand, but the building is now used as a theater. 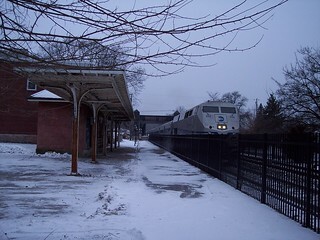 The current high level station platforms are just south of the old station building. 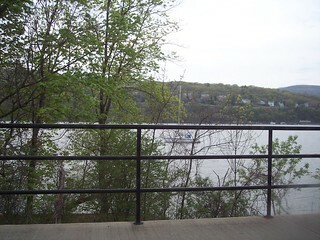 The Hudson River is visible from the current station platforms. 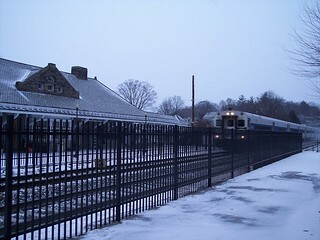 Metro-North trains pass the former Poughkeepsie-bound canopy and former station building.